This coop has been built from the best quality tongue and groove timber with all woodwork properly jointed to give a strong long lasting framework. Inside the coop below the perches is a removable metal lined tray. This simply slides out to the front and enables the inside to be kept really clean without having to struggle. The tray can be easily removed, cleaned and then slid back into position – minimum fuss. There is a double nest box on the side of the coop, this is fitted with a hinged lockable lid to enable you to collect your eggs easily. This is a well-sized coop and will house up to 8 birds dependant on their size. 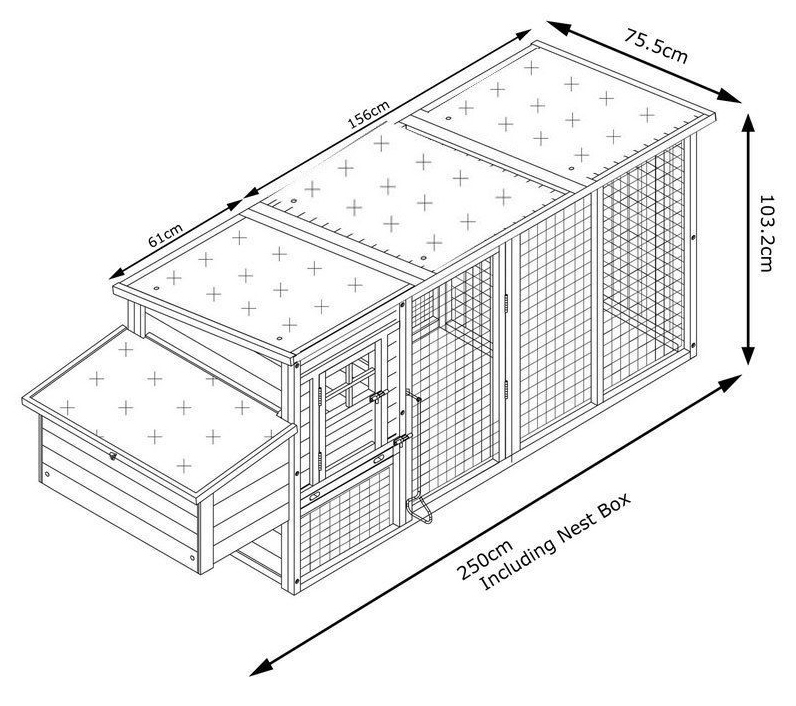 This coop will arrive in two flat pack boxes, with it you will find easy to understand, well-written instructions. The only tool required to complete the assembly is a screwdriver. Large wooden hen house with 2 perches and 2 nest boxes. Hinged roof and nest box lids for easy access. The special roof coating and the glazed pine wood are winter and water-proof. The hutch can be assembled quickly and easily.